Visit PaleoJudaica daily for the latest news on ancient Judaism and the biblical world. READING ACTS: Jubilees and the Eternal Covenant. Unlike Sirach, Jubilees envisions a complete separation from the Hellenistic world. The author of Jubilees does not encourage readers to adopt or adapt Hellenistic practices or thinking along Jewish lines. Unlike Sirach or the canonical Proverbs, wisdom is not rooted in creation, but rather the Law of God as it appears in the Mosaic Law. While Sirach said wisdom was to keep the Law of God, he was never very clear on what that Law might be. The author of Jubilees is quite clear as he re-writes the stories of the Hebrew Bible to establish the antiquity of the boundary markers of the Jewish people. Past posts in Phil Long's series on the Second Temple Period are noted here and links. Human trees in the Bible? 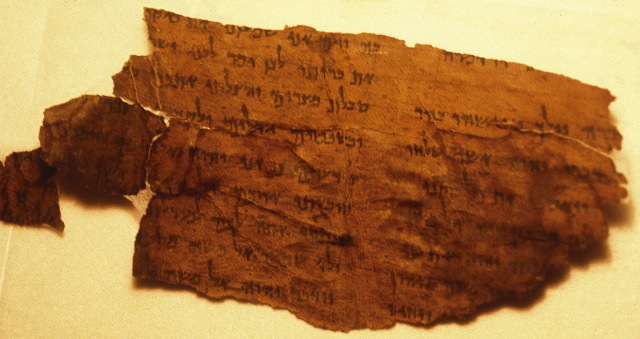 Conference on “How the Bible Came into Being"
Nonsense on the Copper Scroll from the AP?